Is Apple Cider Vinegar The Secret to Great Hair? Apple cider vinegar is having a moment. As a seemingly collective obsession with natural remedies continues to thrive, ACV promises to make your skin clearer, your gut healthier, your hair shinier, and more. For hair especially, the supposed benefits of apple cider vinegar seem to be endless. But what are the actual benefits for your hair and how does science support these claims? Here’s what we found. Apple cider vinegar is naturally anti-fungal and anti-bacterial. As it kills bacteria and fungus and prevents infection, it also eliminates common causes of dandruff, itchiness, and irritation in the scalp. Furthemore, as it balances the pH of your scalp (more on that later), it creates an unwelcoming environment for fungus and bacteria, thus preventing future irritation and itchiness. As many of us learned in chemistry class, “pH” refers to the acidity or alkalinity of a given substance. Acidity and alkalinity are determined based on a scale of 0-14, 0 being completely acidic, 7 being neutral, and 14 being completely alkaline. The natural acidity of human hair should generally help prevent fungi and bacteria; however, many mainstream hair care products are alkaline, and actually disrupt the natural pH of hair. Dry, dull, or brittle hair is usually more alkaline, but a little ACV can help remedy that. The acidity in apple cider vinegar works to counteract high alkalinity, lowering the pH and restoring balance to your hair and scalp. Sprays, mousses, gels, conditioners and even shampoos can lead to product buildup, or residue left over in your hair and on your scalp. Product buildup then promotes dullness, flatness, and lifelessness in hair. Luckily, apple cider vinegar contains high amounts of acetic acid, which helps eradicate product buildup and bring hair back to life. 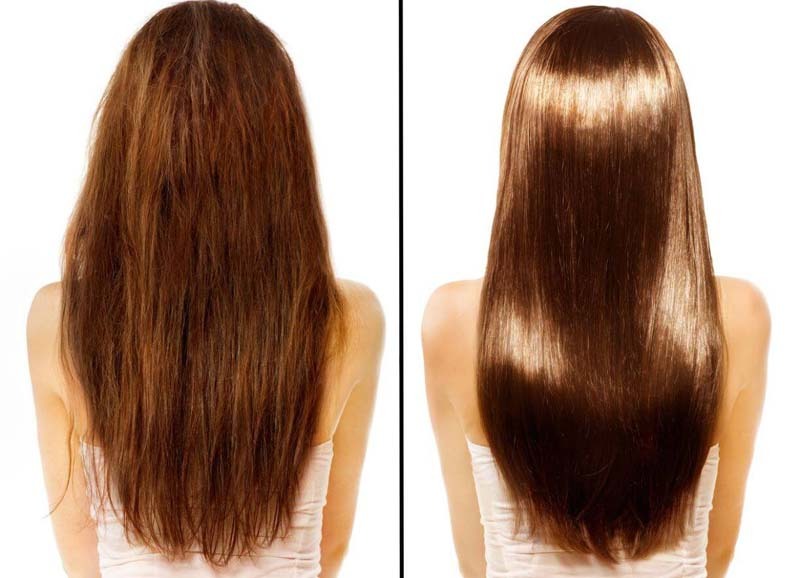 One of the main causes of frizzy hair is lifted hair cuticles; ACV decreases frizziness by actually smoothing down the hair cuticle, for sleeker, more tamed roots. Smoothing down the cuticle also increases your hair’s ability to reflect light, resulting in healthy-looking shine. Now for the fun part. Apple cider vinegar should always be diluted before use on hair. Try mixing 1 cup of water with 2-4 tablespoons of vinegar and then slowly pour the mixture over your hair, massaging it into your scalp. Let it sit for a few minutes, and then rinse. You can experiment with different ratios of vinegar to water, depending on your hair’s specific needs. 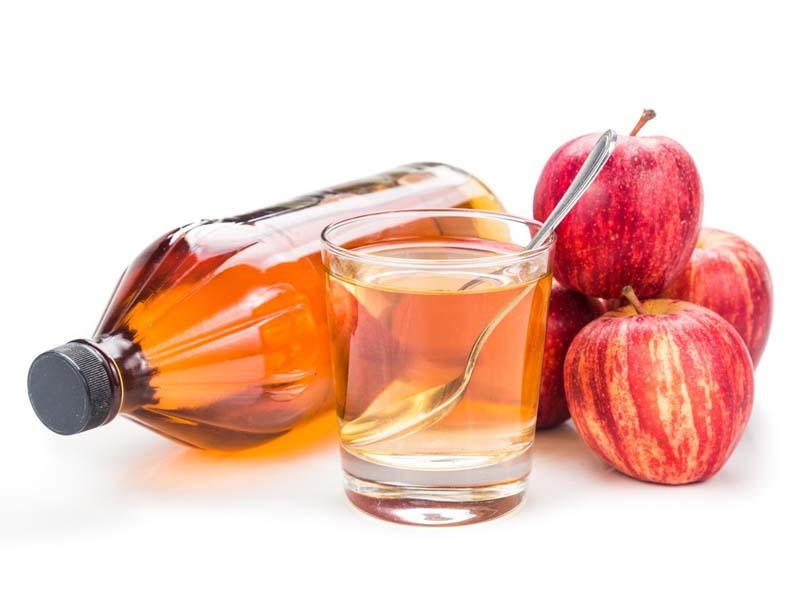 U.S. Daily News: Is Apple Cider Vinegar The Secret to Great Hair?